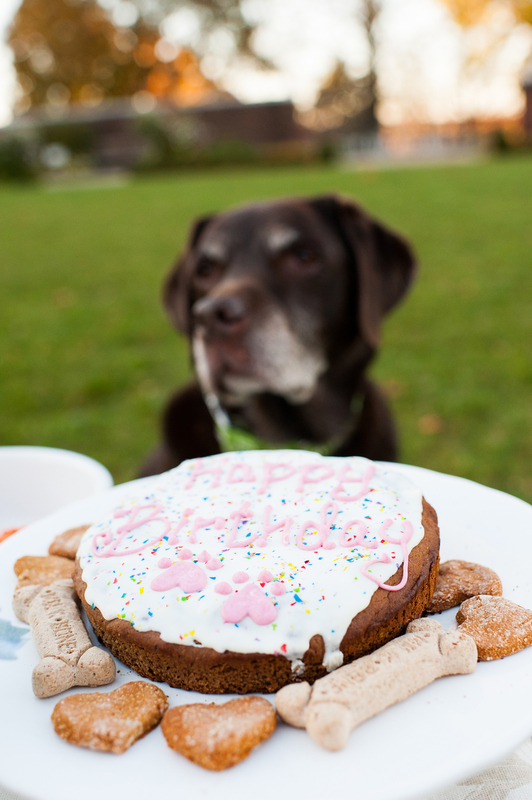 This birthday-themed shoot was a creative collaboration between me and my friend Tori Mistick. 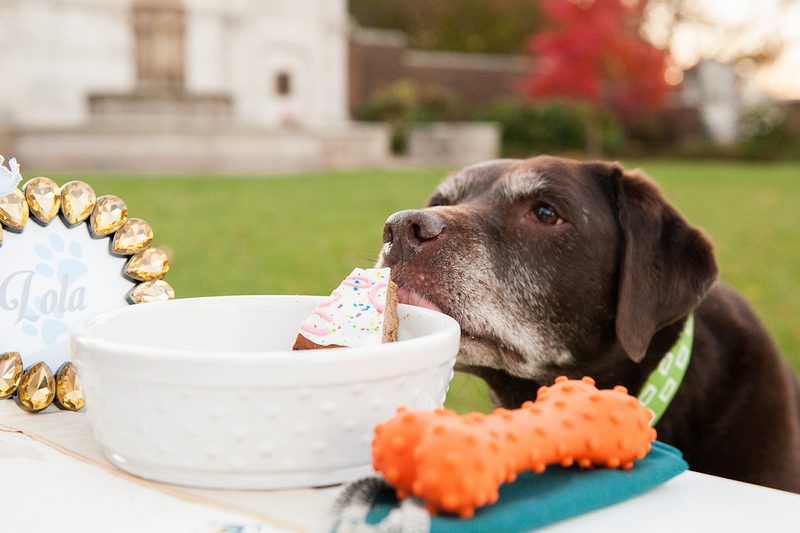 I had always dreamed of putting together a birthday celebration for dogs. 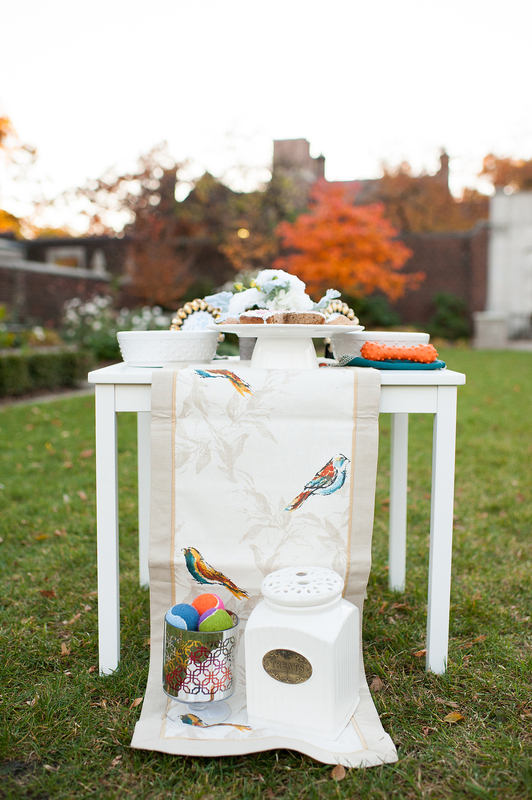 With a secret garden location and Tori’s styling skills I knew we could create something really fun for her pups. Tori has two English Chocolate Labs, Lola and Lucy, and writes a lifestyle blog called Wear. Wag. Repeat. where she shares two of her favorite things, fashion and dogs. I first met Lola and Lucy a couple years ago when they visited my photo booth at a local event for pets and their people. Lucy was only a puppy at the time, and climbed all over her patient sister. This winter Lola turned 12 years old and Lucy is now 3, so there is never a dull moment. 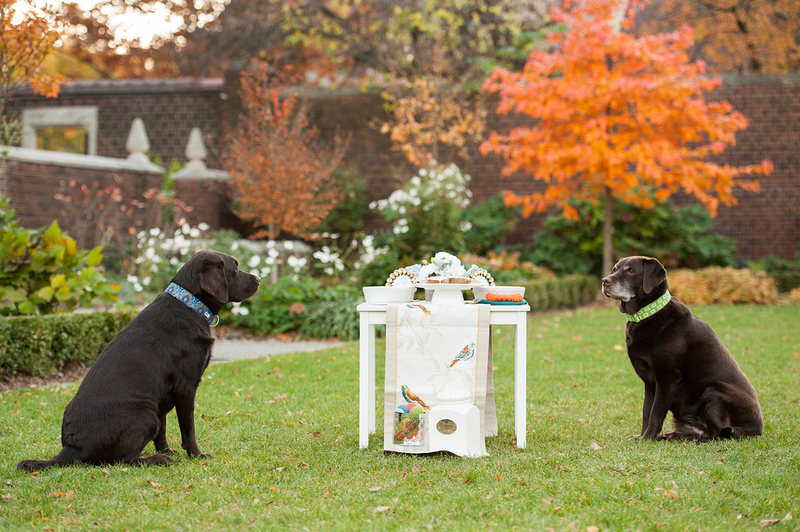 The three of them spend a lot of time at Pittsburgh’s fabulous parks, when they’re not in the middle of a DIY project or experimenting with the latest Pinterest dog treat recipe find. 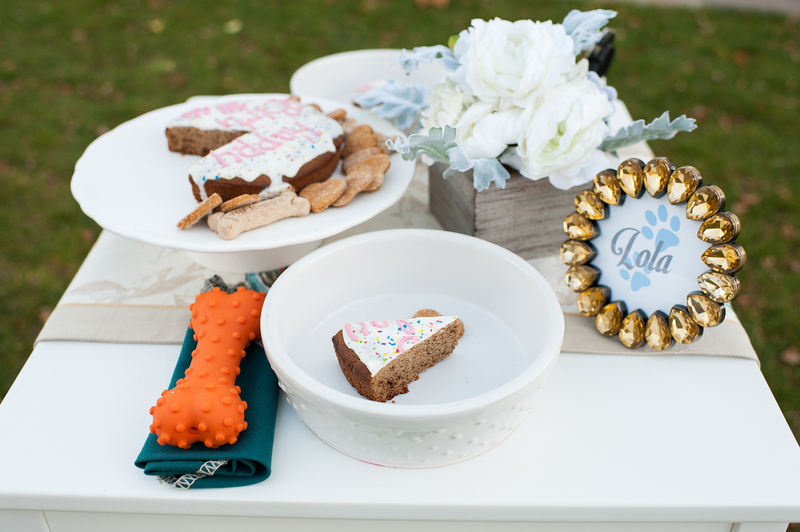 We wanted to showcase how easy it is to put together a modern and fun event to celebrate our furry family members, using primarily local vendors. 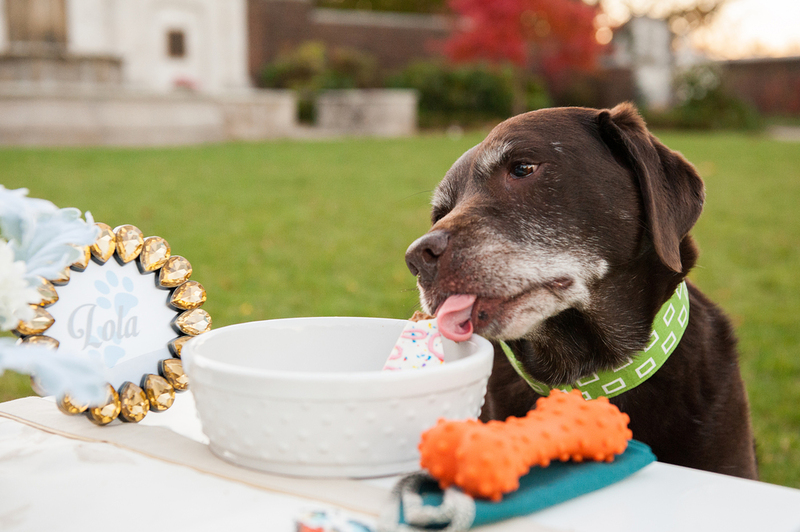 For the occasion, Lola and Lucy were wearing beautiful dog collars from Scout Dog, munching on heart-shaped treats from Woof Stop Barkery, and devouring cake from Doggie Delights (donated by Petagogy). 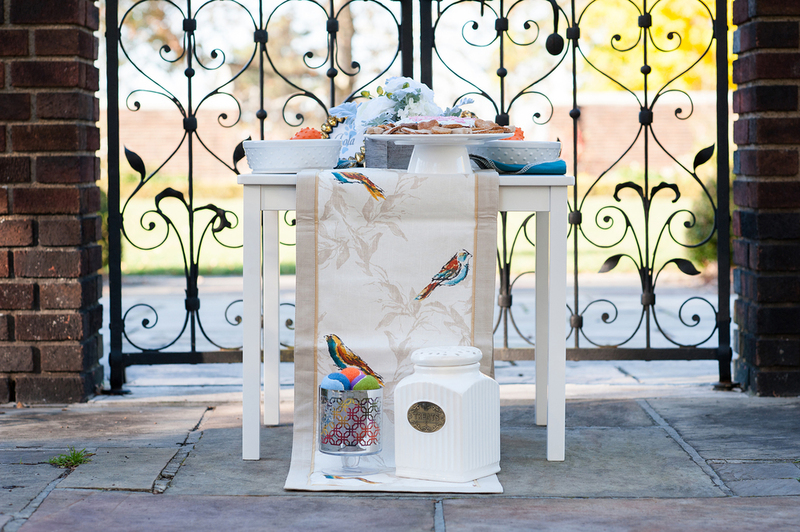 The table and décor was acquired from IKEA and Target. * This post first appeared on Pretty Fluffy.